Yesterday Facebook announced the acqusition of Onavo. This is the first step of facebook making good on its part of the internet.org vision. 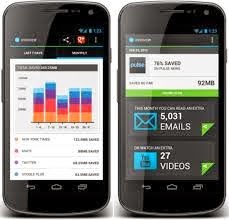 Onavo makes popular apps that helps users understand their mobile data usage and save on data usage by using Onavo's data savings cloud. Great way to get your data costs under control. This acquisition gives Facebook a base of several million users who use Onavo on android and iOS devices. Onavo's apps reroute all of th devices traffic for apps, email, web to onavo for compression. Building on this foundation is a great way for facebook to genuinely start driving towards the internet.org goal of lowering the price of data access around the world. Put differently it seems like Onavo will have serious backing and resources to help people save on mobile data. Google is also in the compression game with Chrome Proxy. Currently in Limited Beta on Chrome for iPhone and iPad, and available in the Chrome Beta app for Android. Google is honing its image and web compression tech. Their image approach focusses on webp. Amazon has its Silk compression browser for Amazon Fire tablets. It is rumoured that lab126 is working on a line of phones. So it wouldn't be surprising to see amazon make a play for the "low cost " phone with "low cost data" category. Nokia and Microsoft make a compression browser for Windows Phone and Asha devices. Interestingly, to date we have not seen any compression plays from Apple or Samsung. Of course Opera.com has been in the mobile data compression space for years. This is a pretty good picture of the players of tech companies racing towards a vision of the "the web for everyone" . Taken the form of internet.org most recently. It seems that a number of the biggest consumer tech companies have a common goal of figuring out how drive the price of mobile data down. So users use their services more. Throw in that network operators would love to have more efficient traffic on their networks and data compression seems like the lowest hanging fruit as a next step for internet.org.